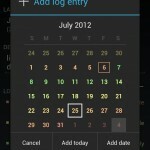 Regularly helps you keep track of all those repeating tasks which don’t have fixed calendar schedules. Maybe you water your plants about once a week, but you don’t care if it’s a different day every week. Or perhaps you visit the dentist every six months, but five or seven months is okay too. 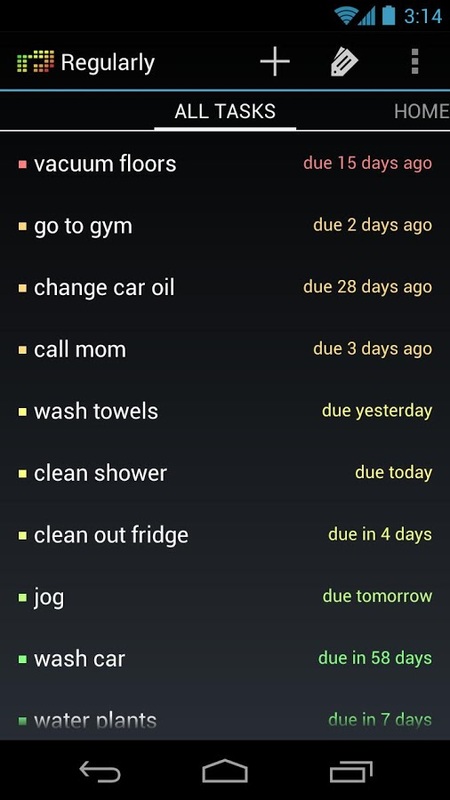 We all have dozens of tasks like these, and traditional calendar-based apps are of little use with such varying schedules. 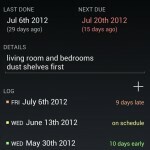 With Regularly, you’ll never forget any of your tasks again! 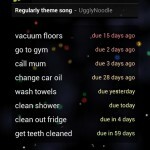 Regularly ranks your tasks using an innovative urgency rating which shows you which tasks are most overdue. 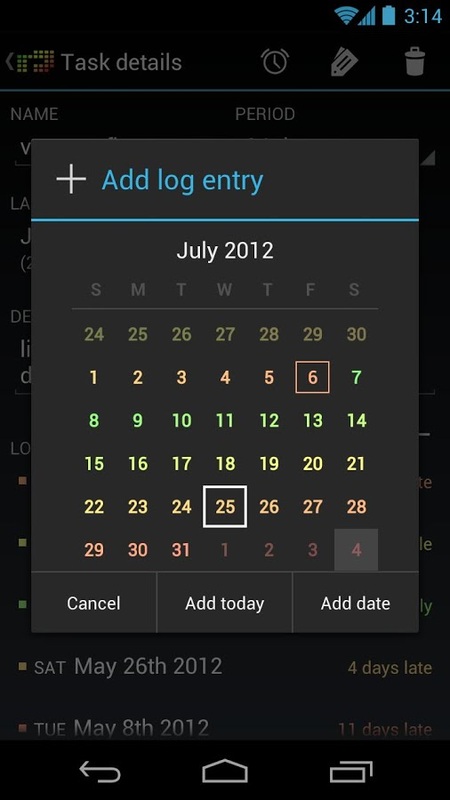 The algorithm knows that a weekly task that’s four days late is more urgent than a yearly task that’s one week late. 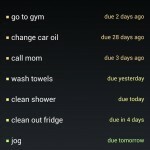 Regularly’s sleek color coding scheme makes it easy to quickly see whether you have any tasks requiring your attention. 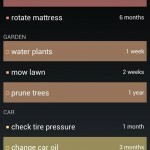 Several customization options allow you to tweak the app’s appearance to your liking. 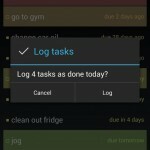 Every time you perform a task, you log it in the app, and the next reminder will be scheduled accordingly. 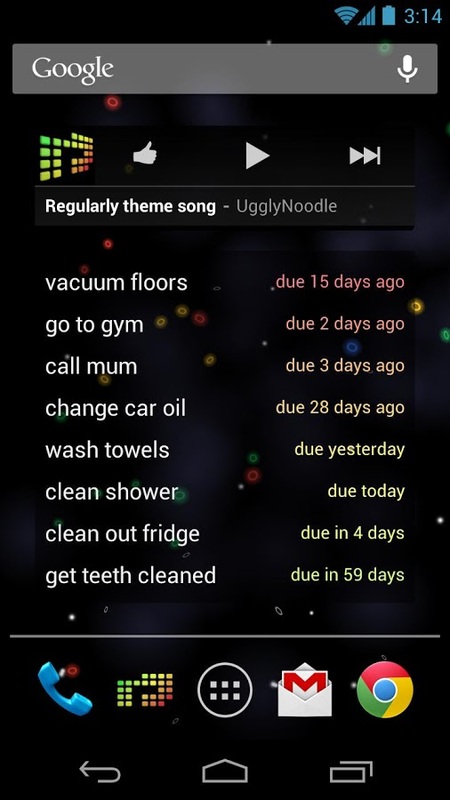 The log is also color coded so you can review whether you’re good at performing the task on schedule, or if you’re usually late. 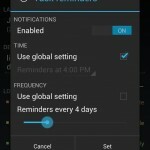 Instead of keeping you on a strict schedule with notifications fixed intervals, Regularly dynamically adjusts the reminders according to your task log, so you’ll never need to manually alter the reminder schedule. 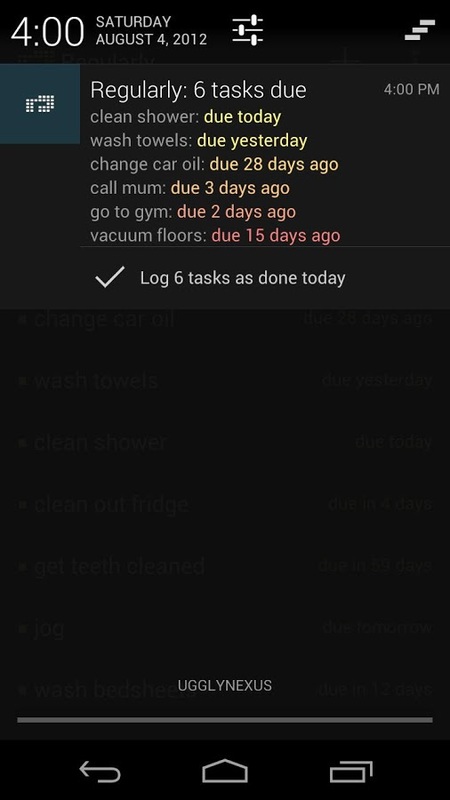 Regularly scales the reminder frequency of overdue tasks according to their period, so you won’t get bombarded with constant annoying reminders for tasks you only perform once a year. 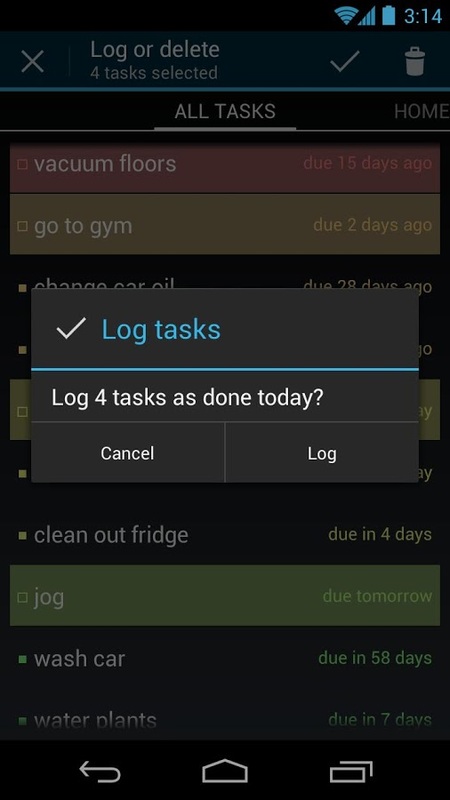 Each task can be assigned multiple tags, allowing you to group the tasks into categories of your choosing. 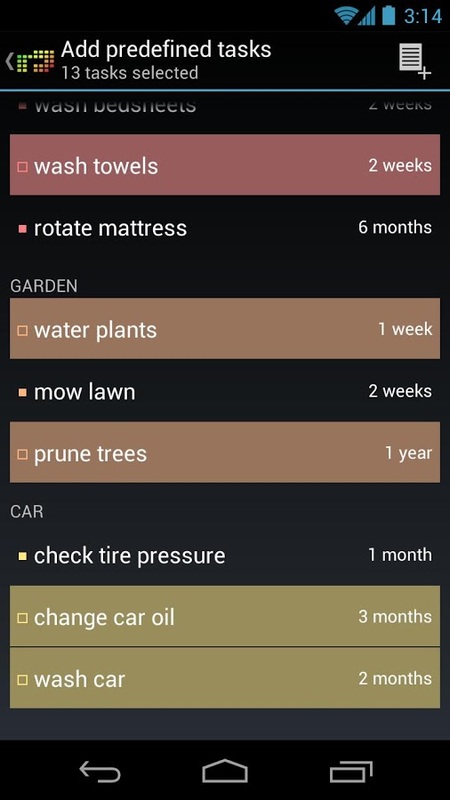 So you can swipe left to see just your household chores, then again to see your car maintenance tasks. 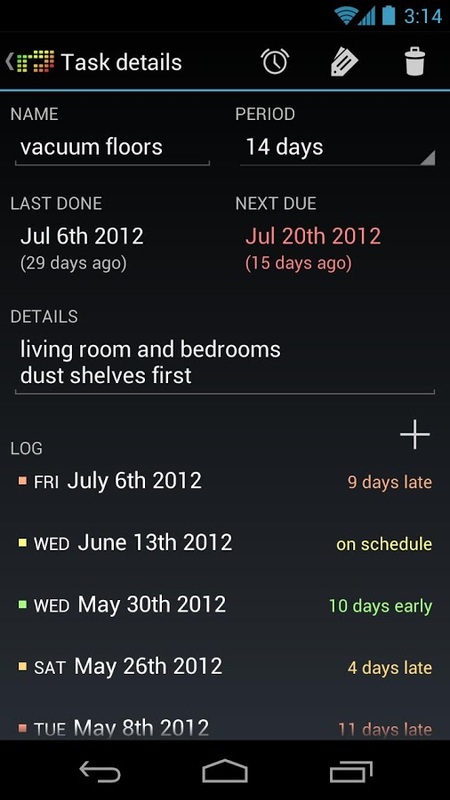 If you’ve got Jelly Bean, you’ll see a list of your due tasks, color-coded by their urgency score, right in the notification pane. 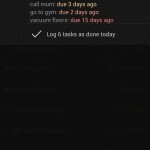 When you’ve completed them, you can quickly log them as done from the notification. 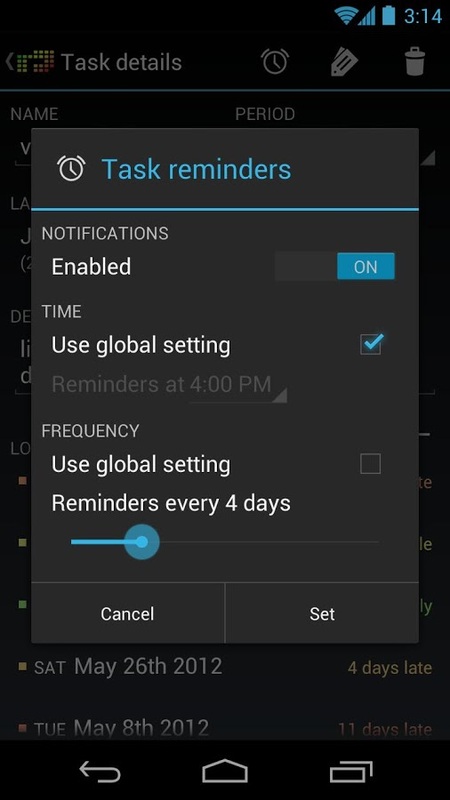 • Allows rescheduling of notifications. • Allows backup and restore of your database to and from your phone’s SD card (or equivalent storage). • If something goes wrong, allows sending me an anonymous crash report to help me fix the problem. You can opt out of this. 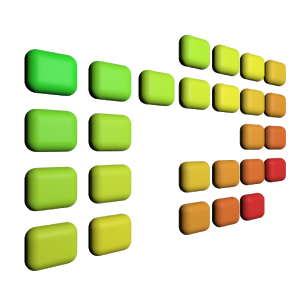 • Allows donation to support development if you wish. • Allows optional vibrating notifications.